California’s Glendora High School has lost another round in the courts over its refusal to provide real-time captioning for deaf students. School officials had already been ordered to offer the service to Victor Solorzano. Now, they must do the same for his sister, Samantha. The decision means the Solorzano children will have aides to transcribe class discussions they can read on a laptop. The Communication Access Real-Time Translation, or CART costs about $60,000 a year. Both children were born deaf, have cochlea implants and do not use sign language. An injunction has been dropped against UPS in a case involving a group of deaf drivers. A panel of the 9th U.S. Circuit Court of Appeals has given employers room to make a new defense when faced with an ADA lawsuit. At issue is whether UPS can require drivers of small trucks to pass a hearing test. The federal government has required drivers of large trucks to pass a hearing test and UPS has used the same standard for smaller trucks. The deaf drivers say that practice is discriminatory. But the panel now says UPS can defend the company’s practice under a “business necessity” defense, saying it relies on a government safety standard for the policy. Despite the setback, it appears the issues remain the same in the case and a lower court may still rule in the driver’s favor. UPS will still have to show that an across-the-board policy against drivers with hearing loss is necessary. You can see a student from Gallaudet University in a major new film that just opened in limited release nationwide. 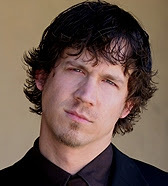 Theatre arts major Russell Harvard plays the son of an oil tycoon in There will be Blood. The film features Daniel Day-Lewis and is based the novel Oil! by Upton Sinclair and set in the California frontier at the turn of the 20th century. The Austin, Texas native is also taking part in the Gallaudet stage production of Shakespeare’s Much Ado About Nothing. He’s already had parts in CBS’ CSI: New York with Marlee Matlin, Deaf West Theatre’s Sleeping Beauty. Read more at DeafNewsToday.com. The head of the Royal National Institute for Deaf and Hard of Hearing People in Britain says parents who are deaf should be allowed to select embryos that will produce a deaf child. Chief executive Jackie Ballard says a child who is effectively disabled would fit in better with the family lifestyle. The British Deaf Association is already campaigning to create government legislation to allow the creation of babies with disabilities. But a clause in the Human Tissue and Embryos Bill would make it illegal for parents undergoing embryo screening to choose an embryo with an abnormality if healthy embryos exist. Opponents say this gives parents the right to create “designer babies” free from genetic conditions while destroying a cultural identity by preventing children from being born deaf. Starting January first, a new law goes into effect in California requiring that all hospitals in the state to test newborns' ability to hear. Most of California’s hospitals started offering the state-mandated program after its launch in 2000 but about a quarter do not. In real numbers, that means about 130,000 newborns go through little or no hearing screening each year. About two out of every 1,000 infants in California are born deaf. There are 19 states right now without universal hearing screening programs. The Rochester Institute of Technology is getting $600,000 from an entrepreneur fund. The Johnson Scholarship Foundation's Endowed Scholarship for Innovation and Entrepreneurship is based in West Palm Beach, Florida. It will provide $5,000 each year to 12 students who are studying entrepreneurship. They also must be getting support from the school's National Technical Institute for the Deaf. The federal government will be matching the donation, so the full benefit to the school will be $1.2 million. West Virginia will require sign language interpreters in schools to score a three on the Educational Interpreter Performance Assessment starting in July. That standard will increase to 3.5 by 2010. The EIPA rating ranges from zero to 5. Many school interpreters in the state do not have that level of skill. The interpreters are videotaped and scored by officials in Omaha, Nebraska at the Boys Town National Research Hospital. Rutgers University researchers say they think can come up with a better cochlear implant. The discovery of two proteins in the cochlea that play an important role in the relay of sound messages to the brain may make it possible to load them into a specially-designed cochlear implant. The new type of implant would release the proteins, improving the transfer of sound messages to the brain. The girls basketball coach at Kentucky School for the Deaf shaved all the hair off his head yesterday. Scott Johnson was making good on a promise to go hairless if his team won a game. The Colonels ended a 52-game losing streak this past weekend, squeaking by the Piarist 40-39. It took a free throw with 2 seconds left to seal the win. It brought a lot of jumping around and tears from the girls. A Fredericksburg, Virginia woman has left Gallaudet University a gift of $6 million. Virginia May Binns wa a bacteriologist who died at the age of 89 last year. Gallaudet President Robert Davila says the money will go toward a new language and communication center at the school. Binns never attended Gallaudet. Two San Diego teenagers pleaded not guilty yesterday to attempted murder charges. Prosecutors say the two are members of a gang and they attached a deaf man after he asked them to stop throwing rocks at his car. Joseph Torres was stabbed four times and is now recovering in a local hospital. Researchers at the Rochester Institute of Technology are designing an implantable "micropump" the size of a fingernail. It would function like an insulin pump for diabetics and the morphine pump for hospital patients. Only this pump would hearing problems. Scientists are first hoping to make it work inside the ear of a mouse with hearing loss. The pump would then deliver a mixture of drug therapies to the cochlea. The National Institutes of Health is giving a $900,000 grant to help with the project. American Sign Language is being used by speech therapists and child psychologists to help autistic children express their feelings. Autistic youngsters are encouraged to speak aloud as they sign to promote speech but the main focus is expressing their emotions which often come out in inappropriate ways, such as hitting other children. Sight is perhaps the strongest sense among children with autism while verbal skills are weak. Thus, signing allows them to have a validation and to feel understood. Cholesterol levels in the inner ear can affect your hearing. That’s the finding of researchers from Baylor College of Medicine, Rice University and Purdue University. It has been known that the cholesterol is lower in the outer hair cell membranes than in the other body cells. But this new study found you can change an animal's hearing just by adding or subtracting cholesterol. If the level in the inner ears of mice fell, there was a hearing loss. Adding cholesterol initially increased hearing, but it later resulted in a hearing loss as well. Details are published in the Journal of Biological Chemistry. An assistant high school principal has been hired as the new director of the Oregon School for the Deaf. Patti Togioka will take over the Salem school in August. She previously worked there between 1980 and 1998. The Oregon School for the Deaf has about 120 students. The state plans to move the Oregon School for the Blind to the same campus. A professor at the Rochester Institute of Technology's National Technical Institute for the Deaf has been awarded a $150,000 National Science Foundation grant. Michael Stinson will use the funds to help students better understand classroom lectures by developing technology for classroom captionists.